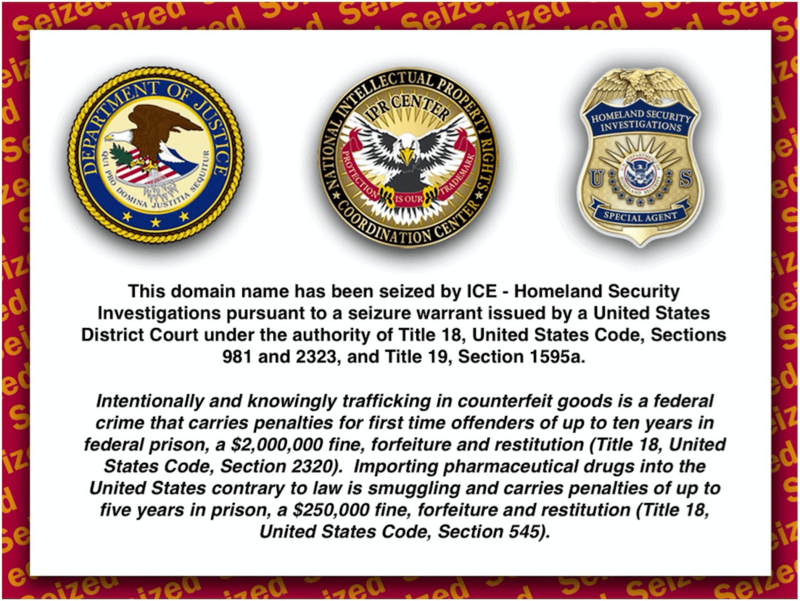 Last week, Homeland Security Special Agents seized 67 domain names believed to be engaged in the illegal sale and distribution of counterfeit prescription drugs. Each affected website now greets visitors with a US government seizure notice, and a friendly reminder that illegally importing pharmaceutical drugs into the United States can land smugglers up to five years in prison and a hefty fine. Analysts at LegitScript were already familiar with the domain names in question, which belong to the Rx-Partners affiliate network, a massive group of between 3,000 and 7,500 (depending on the month) websites that sell illegal, substandard pharmaceuticals. They sell prescription medication without requiring a valid prescription. They lack valid pharmacy licenses in each jurisdiction in which shipping is offered. They sell unapproved (and often counterfeit) drugs. As we noted in 2013, Rx-Partners has gone a step further in its efforts to mislead consumers and compromise public health and safety by falsifying the United Kingdom’s General Pharmaceutical Council (GPhC) seal on at least one of its webpages. The GPhC issues this seal to UK online pharmacies to certify that they comply with UK regulations, a standard that no Rx-Partners affiliated website could ever meet. Examples of still-online Rx-Partners websites include trustpharmacy365.com, xl-pharmacy.com, and edgenerics.com. The individuals who have an interest in the seized domain names can contest the forfeiture — but we predict that won't happen, since rogue Internet pharmacy operators tend to avoid the sunlight and like to remain in the shadows. You can read more about the domain name seizure at the Department of Justice’s website. The full list of domain names involved in the seizure can be found here.